If you’ve been charged with a DUI, one of the harder decisions you will have to make during the ordeal is who to hire to represent you in the courtroom. 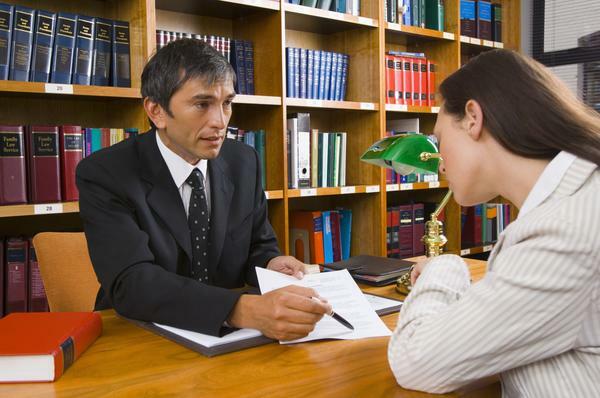 Hiring an attorney is a considerable expense, however, it is also necessary. While it is possible to represent yourself, it is not suggested as most people don’t have the knowledge and composure to handle themselves in a courtroom. Subsequently, you could rely on the public defender to handle your case, however, given the sheer number of cases the often overworked public defender has to process on a daily basis, this is also not recommended as it is unlikely your case will get the adequate attention necessary for a favorable outcome. Still, most people have never had to hire an attorney before, and doing so for the first time can be a daunting experience. Here are a few questions to ask your potential defender which might help make the decision a little easier. When you go in for surgery, you like to know that the surgeon has had ample experience with your procedure before hand. It helps you to feel more comfortable and relaxed during the operation. Ask about your attorney’s experience with DUI cases. Other things you might want to ask is where they attending law school, how long has it been since they graduated, and how many DUI clients to the represent a year. Getting a feel for your attorney’s experience and knowledge can help you to feel more comfortable and confident about your case. Not every case is the same, and a good attorney will take a personalized approach for each case, including your own. Your attorney will ask you a number of questions as they begin to piece together your case and the evidence against you. It’s important that you listen closely and answer directly. Question you can ask during this time to facilitate the process are: Which factors work in my favor? Which factors work against me? What can I expect during the different phases of my trial? When it comes to more serious matters, especially those that can affect you for the rest of your life, it’s important to stay informed. You want to know how your attorney will be handling your case, which is known as case management. Here are some questions you can ask which will give you an understanding of how your case will be handled. Are you available to represent me? Will anyone else be working on my case? How do you prefer to be contacted? Who do I call with questions? Given the expense of hiring an attorney, it’s important that you understand the legal fees that will be incurred during this period. Understand the fees and what you will end up paying is very important as you can find yourself in other trouble down the road, here are some questions you should be asking about legal fees. Do you bill a flat rate, or by the hour? What is included in this fee and what is not? What other legal expenses will I be facing, can you give me an estimate for them? What methods of payments do you accept, what are the payment options available to me? While it might be a bit overwhelming when it comes time to choosing an attorney to represent you, it’s important to understand that this is a very important decision and one which will affect you for the rest of your life. Asking the right questions can make the difference between hiring an attorney and hiring the right attorney. https://plus.google.com/107763070938594779751“>+Andrew is one of the leading DUI and criminal defense attorneys in both the state of Maryland and the District of Columbia. He blogs about Maryland DUI law, has numerous videos on the subject and has been asked to appear on national television to offer his legal opinion on high-profile criminal cases.